Words that come to mind while reading this book: brilliant, gorgeous, magnificent, beautiful, astonishing, breathtaking. 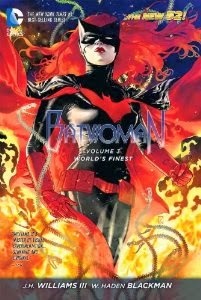 Batwoman Volume 3 World's Finest is about Kate Kane seeking help from Wonder Woman to find children that have been missing from Gotham. The threat level has gone from muggers, murderers, and psychopaths to modern myths and urban legends. Someone is creating monsters of this world and Greek myth. Not only have I not seen Wonder Wonder drawn to such a high caliber as this but she was written phenomenally as well. The creative team of JH Williams III and W Haden Blackman are spectacular story tellers of women that are of strong character, inner strength, persistence, elegant, beautiful, intelligent, and hardened warriors. Batwoman and Diana go on a harrowing journey to find out where the children, who is creating these monsters and to what end. Difficult decisions are made along the way, confidence is shaken in themselves and each other. It was sad, intense, scary, exciting story. I learned things about gods I never knew. Seeing how mutilated one of the gods was rough. The most difficult part was seeing Kate Kane and her love, Maggie Sawyer, separated almost this entire book. Having those two back together again was more triumphant than defeating the villain. There's two great lessons I got from this story. One, you can always find the strength to keep going as long as you dig deep enough. And two, when you find that person that you love more than life you must fight tooth and nail for them and share everything with them and not just because you want to but because you have to in order to keep the relationship strong. The art is by far one of the most amazing and beautiful pieces of work I have ever seen. It has a glossy shine to it that makes the heroines look elegant and intimidating all at the same time. The panel design and structure is unlike any other. It makes all other comics look lazy and lame in comparison because it is so unique, imaginative, and genius. Few creative teams have reached this level of ingenuity and raw beauty that there's no way this book can't be considered a BUY no matter who you are. 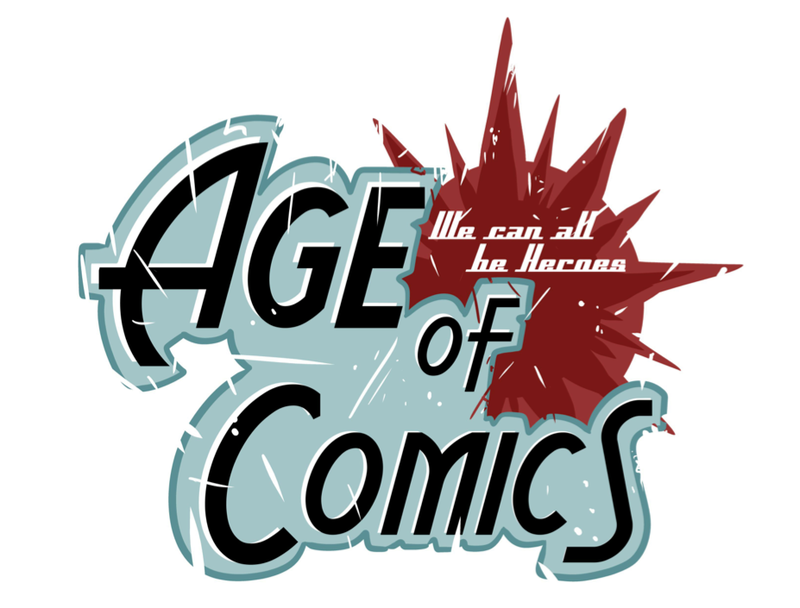 RSVP to our live streaming event Friday, September 27th at 5-6PM MST for Comicast #100. We’ll be replying to any questions, comments, or shout outs, and giving away a lot of digital comic codes.